Nandip is a bhangra and bollywood dancer and does this in her spare time. This has inspired her to treat and work with other dancers and assess them osteopathically. She recent graduated from the British school of osteopathy and qualified in 2016. She also has some experience as a sports massage therapist. Nandip treats all ages and has an interest in using a range of osteopathic and sports massage techniques. 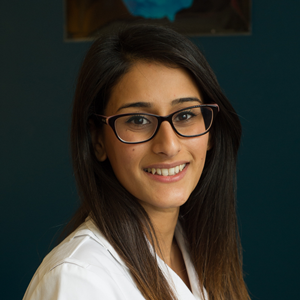 Using her knowledge of osteopathic techniques and sports massage Nandip aims to support the body creating the optimum environment for restoring and maximising ongoing health. Each treatment session is tailored to each individual. Call the clinic to arrange an appointment.